Read this review to learn why Robot Crypto Trading (RobotCT) is a scam that you have to avoid. 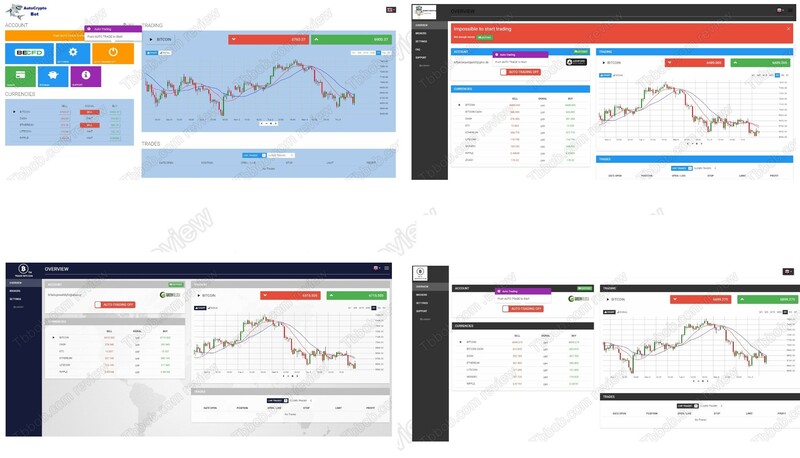 Robot Crypto Trading is a new automated trading software for cryptocurrencies. It allegedly is an easy solution for online trading. The software is free, so the question is, whether RobotCT can really make you some money? The reality is that Robot Crypto Trading is a scam. This software won’t make you any money, it is made to take and lose your own money. We know it because it uses a scam software that we have seen many times already. Take a look at our picture to see that for example Bit Invested, Trade Bitcoin App and Auto Crypto Bot use this exact same robot. 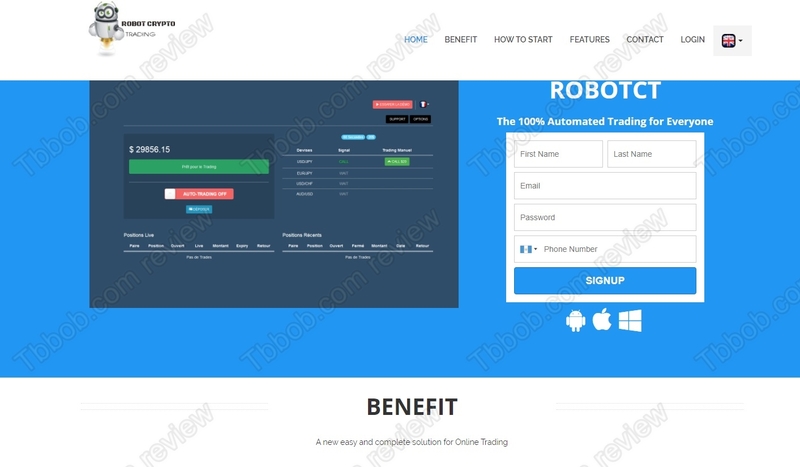 Sometimes this robot allows users to test it in a demo mode, but the demo mode is very misleading, because it uses fake prices to generate fake profits. In trading with real money this robot is losing, we know it from real users! If you wonder why scammers continue to rebrand and distribute this losing software for free, let us explain it. The robot will force you to deposit money with a non-regulated broker, Ashford Investments in this case. It’s because owners of the robot get paid by this broker for referring new depositors, that’s their motivation. But now you know that if you deposit money and let the robot trade with it, you will lose it. Robot Crypto Trading is a scam that will force you to lose money with a crappy broker. Don’t use it! If you really want to try to make money with cryptocurrencies, start on a free demo with a regulated broker. Test and learn on demo to see if you can get ready for real trading.